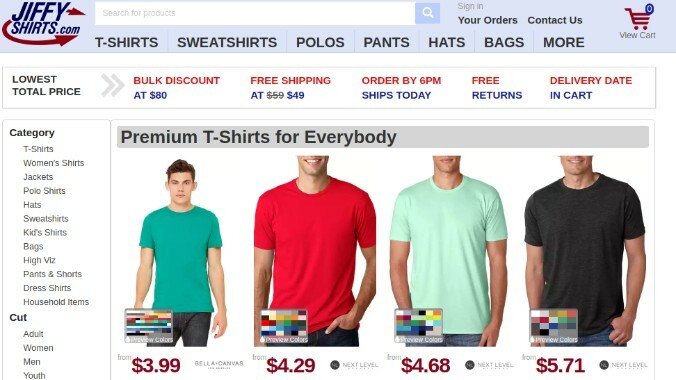 If you are a print shop and are planning to start your online print business, you would need blank t-shirt suppliers. You could either print your own design or let your customers design their t-shirts, either way, you need blank t-shirts if you are not planning to manufacture your own. To make it easier for you, I’ve listed out here 20 wholesale blank t-shirt suppliers in the USA. SanMar is one of the most popular and trusted suppliers of blank apparel to screen printers, embroiderers, athletic dealers and promotional companies. The company eight national distribution centres with one or two-day delivery to 99.7% of the country. The brings 45+ years of experience to the t-shirt printing industry. Best one among blank t-shirt suppliers in the United States. Alphabroder supplies printable apparel as well as accessories to screen printers, embroiderers, promotional products businesses and other businesses. 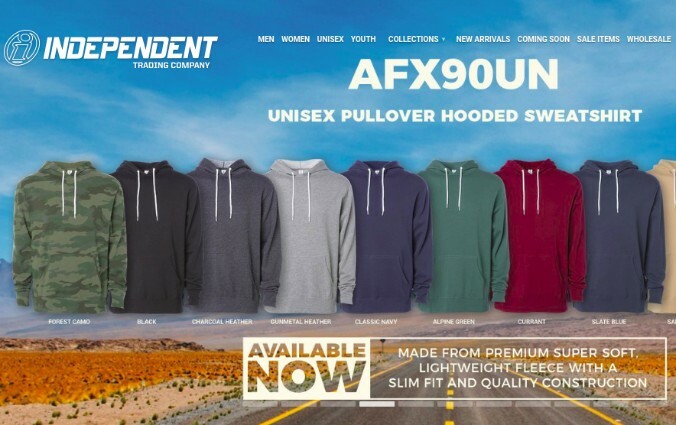 It is the union of six suppliers namely ‘Alpha Shirt,’ ‘Ash City,’ ‘Bodek and Rhodes,’ ‘Broder Bros.’ ‘NES Clothing,’ and ‘Imprints Wholesale.’ We bring decades of experience to the promotional apparel industry. S&S Activewear is one of the largest suppliers of im-printable apparel. It provides both basic to unique styles from exclusive brands. The company has six distribution centre and operates in 49 states. Its distribution centres are located in California, Georgia, Illinois, Kansas, New Jersey and Texas. 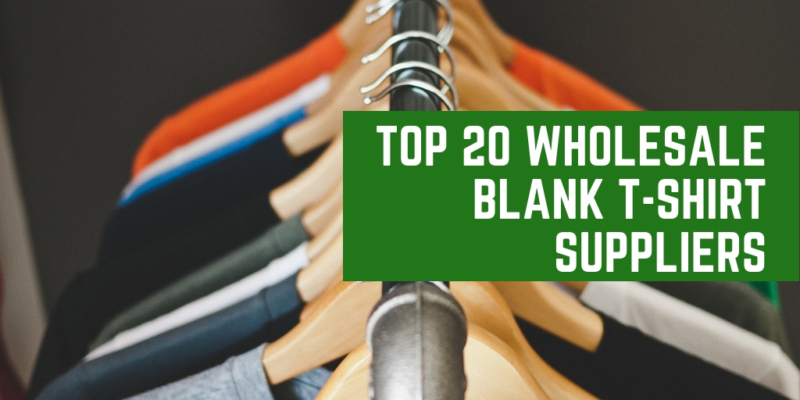 TSC is a well-recognized industry supplier of blank apparel. It strives at serving the emerging and small screen printer and embroidery businesses who previously were struggling to get acceptable delivery and service. It is the reliable source of basic products because we have a deep stock of products and provide next day delivery to your door. Today, TSC has become the go-to source for all basic products. It gives 100% satisfaction guaranteed to all its customers. 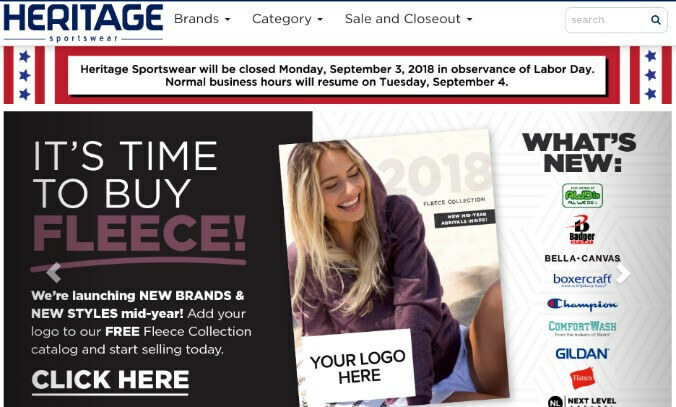 Established in 1982, Heritage Sportswear is one of the largest suppliers of blank apparel in the promotional products industry. The company aims at providing basic to fashion and performance styles apparel to customers. 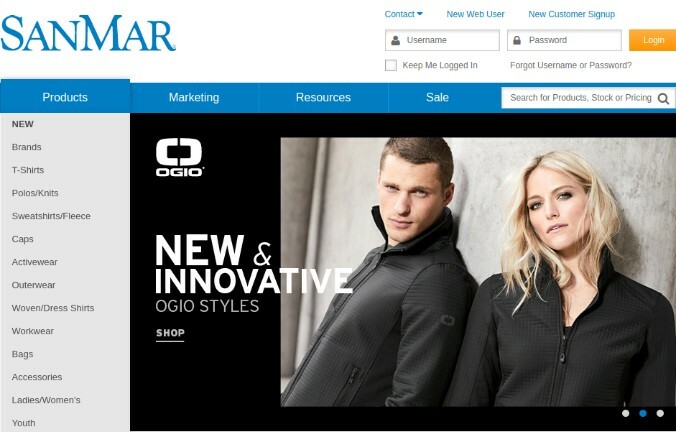 its known for supplying apparel based on trends and new styles. Only has one of the largest Mill-Direct programs in the market. 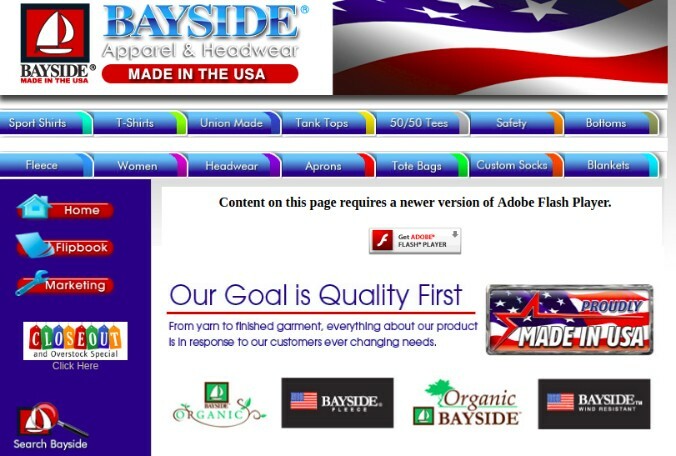 Bayside is one of the largest wholesale suppliers of blank t-shirts. 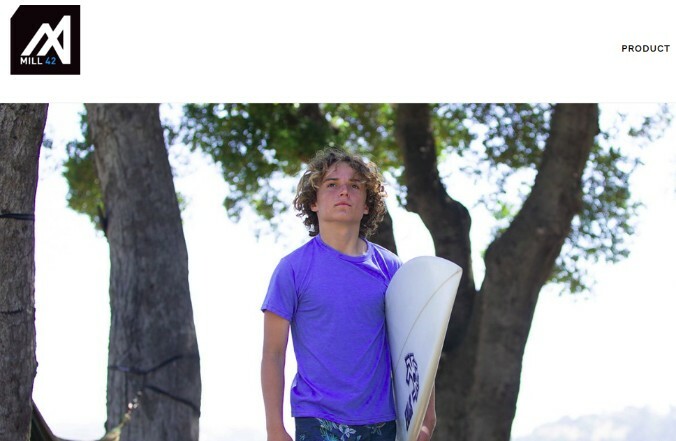 The company provides high-quality apparel all made in the USA. All blanks are produced in its state-of-the-art facility using high-quality machines to automate the complete process. The company provides blank t-shirts, sports shirts, fleece, bottoms, headwear, aprons, tote bags, socks, blankets etc. More importantly, they are cost-effective. 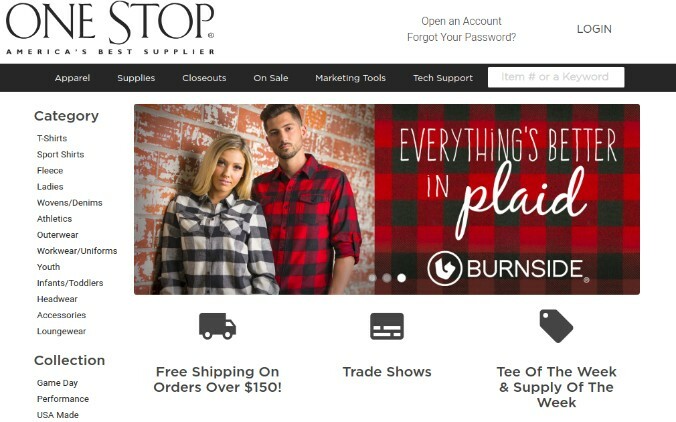 One Stop is Michigan’s largest single-location wholesale supplier of blank, and im-printable apparel to screen printers, embroidery, heat transfer companies, and advertising speciality markets. The company is also the largest distributor of inks, emulsions, frames, threads and other supplies. The company has been providing blanks since 1987. 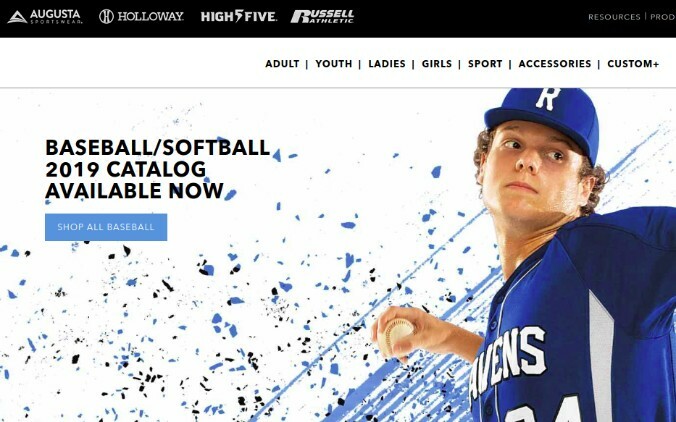 Augusta is the leading provider of sportswear blanks and is the leading designer, manufacturer and marketer of high-performance activewear and spirit wear for teams, coaches, athletes, fans & corporates. Augusta includes other brands such as Holloway, HighFive, Russell Athletic. Mill 42, Inc. is an American born apparel company which is focused on providing high-quality blanks at a great price. All Mill 42 apparel is produced from NAFTA compliant fabrics in Mexico using the best cotton from the USA. The company houses heavy-duty efficient automated machinery to produce its cotton apparels. Operating since 1987, the company has been the largest supplier of high-quality custom & blank apparel for screen printers, embroidery and other apparel printers. The collection of blanks ranges from sweatshirts, performance fleece, jackets, and tees. All styles are produced in high-quality fabrics for superior printing results. TSF sportswear has been the top wholesale apparel distributor for over 30 years and houses nearly thirty brands of apparel to supply it to screen printers, embroidery etc. The company supplies t-shirts, sweatshirts, hoodies, hats, performance wear, bags and totes. 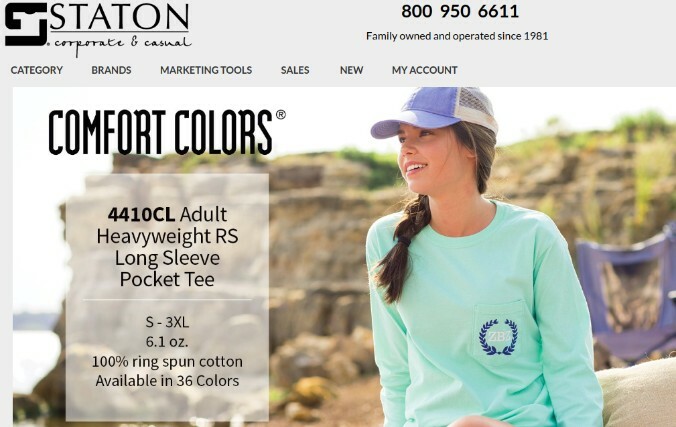 Staton provides both corporate and casual blanks to screen printers, embroidery, and promotional product printers. The houses multiple brands and a range of products including tees, shorts, bags, head-wear, sports-wear, kids wear, outerwear, team sports, work-wear and more at a competitive price. 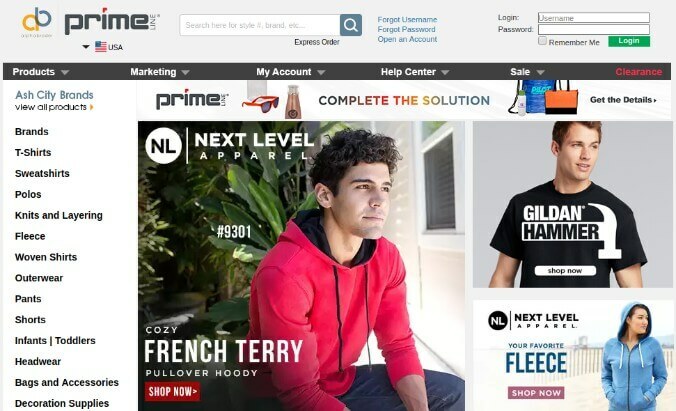 Alstyle brings over 40 years of experience to the print industry and provides an extensive collection of tees, tank tops, sweatshirts and more to apparel printers and embroiderers. The company has been consistently providing high-quality products and service. It is well known for supplying a wide variety of styles to satisfy the evolving market. From trim, contemporary tees to retro-inspired ringer and hoodies the company provides on-demand silhouettes at a competitive price. Jiffy Shirts has one of the finest collection of blank apparel and clothing products serving screen printers, embroiderers, sublimation businesses, and other print shops. Operating along with its ten warehouses nationwide the company offers 1-3 days delivery. The blank products include t-shirts, sweatshirts, polos, pants, hats, bags, jackets, shorts, work shirts, towels, aprons, blankets etc. The Adair Group is a supplier of affordable, stylish and diverse shirts for organization and print shops. It has a wide variety of option available for every need and offers apparel at a discount price. It also houses one of the largest selection of apparel in various colour options including soft tones, earth tones, bright colours, dark colours, and more. ePacificSports was founded in 1992 and have since then become one of the largest t-shirt providers with most of its fabric made in the USA. The company provides blank t-shirts for adults, youth, juvy and toddlers alike. It delivers cotton and cotton-blended garments with the best possible colour, hand and shrinkage control on tubular and side seamed fabric nationwide. 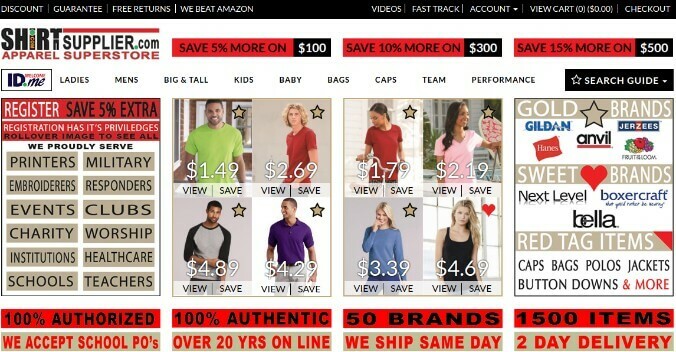 T-ShirtWholesaler ships 99% of all orders on the same day for in-stock items. It stocks apparel from basic to branded for print shops of all sizes. The products include t-shirts, polo shirts, tank tops, hoodies, hats, workwear, bags and totes. Most importantly the company provides products at a much competitive price than other suppliers. Blank Shirts is one of the lowest price apparel suppliers in the USA. The company provides t-shirts, polo shirts, tank tops, hoodies, hats, outerwear, workwear and kids blank t-shirts. The company has a large inventory and provides same-day delivery of 99% of products. It operates through its eight warehouses located in Seattle, Reno, Dallas, Minneapolis, Robbinsville, Cincinnati, Jacksonville, and Phoenix. 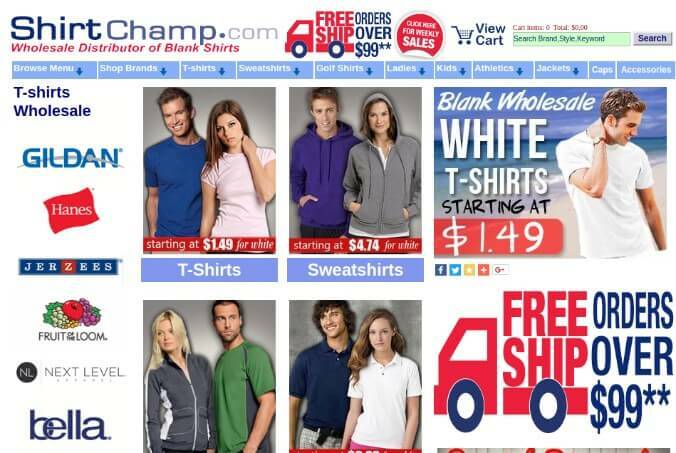 Shirtchamp.com is a wholesale distributor of blank shirts. For fast delivery, the company operates with its eight warehouses across Uthe SA. Its inventory of blank products includes t-shirts, sweatshirts, athletics, golf shirts, tank tops, kids, outerwear, toddler, woven, hats, safety colours and bags. The company has same day order shipping and carries ANSI safety colour t-shirts. 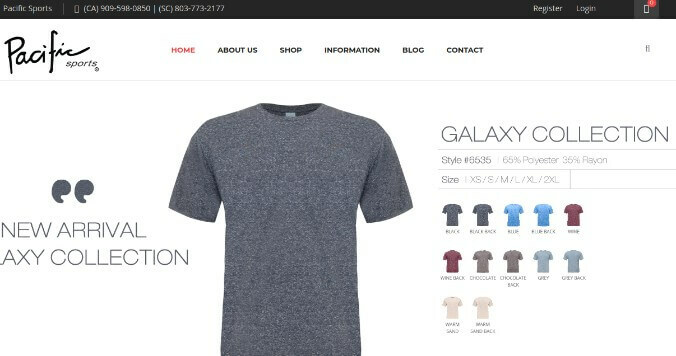 Shirt Supplier is one of the trusted suppliers of t-shirts for women, men, big & tall, kids, baby, bags, caps, sports team, performance t-shirts as well. Since its inception in 1985, it has become a reliable and most opted source for im-printable apparel. The company also provides one of the best customer services in the industry.